Grant Recipient: North Point Lighthouse Friends, Inc. 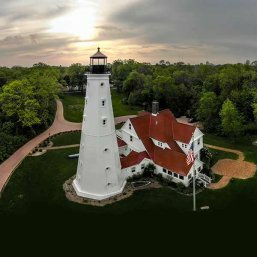 The friends group will use this grant from the Fund to restore ravines and reduce runoff at the North Point Lighthouse, a national historic site in the heart of Lake Park. The project will implement an innovative new green infrastructure practice that is expected to improve water quality significantly at nearby Bradford Beach.